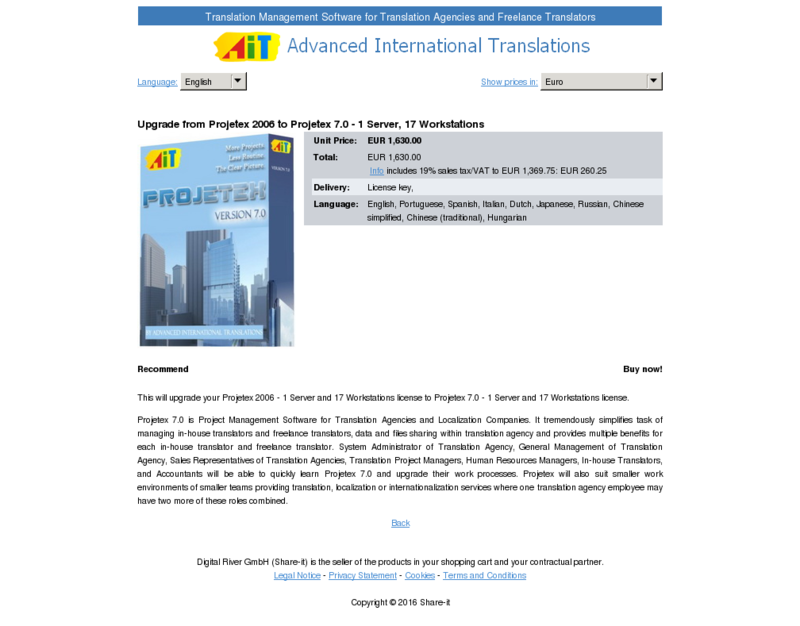 This will upgrade your Projetex 2006 – 1 Server and 2 Workstations license to Projetex 7.0 – 1 Server and 2 Workstations license. This will upgrade your Projetex 2006 – 1 Server and 17 Workstations license to Projetex 7.0 – 1 Server and 17 Workstations license. This will upgrade your Projetex 2006 – 1 Server and 14 Workstations license to Projetex 7.0 – 1 Server and 14 Workstations license. This will upgrade your Projetex 2006 – 1 Server and 12 Workstations license to Projetex 7.0 – 1 Server and 12 Workstations license. 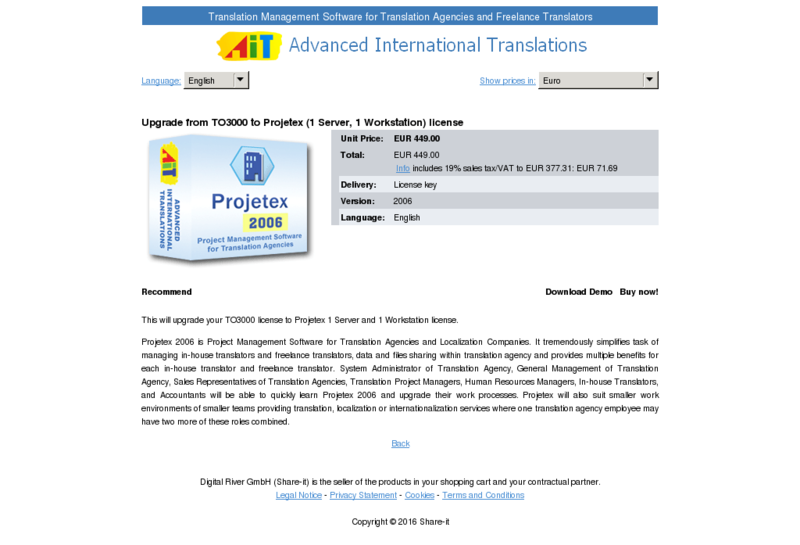 This will upgrade your Projetex 2006 – 1 Server and 100 Workstations license to Projetex 7.0 – 1 Server and 100 Workstations license. This will upgrade your Projetex 2006 – 1 Server and 1 Workstation license to Projetex 7.0 – 1 Server and 1 Workstation license. This will upgrade your TO3000 V7 license to TO3000 V8 license at special price. 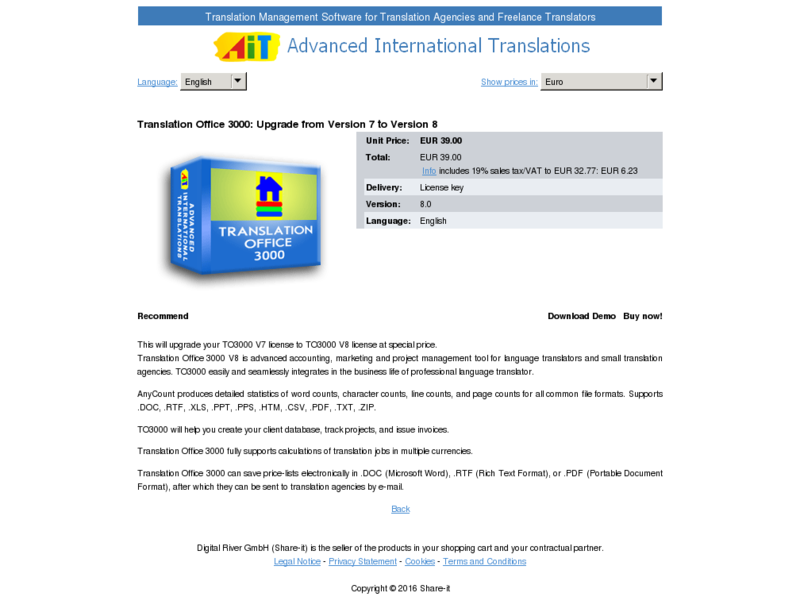 Translation Office 3000 V8 is advanced accounting, marketing and project management tool for language translators and small translation agencies. 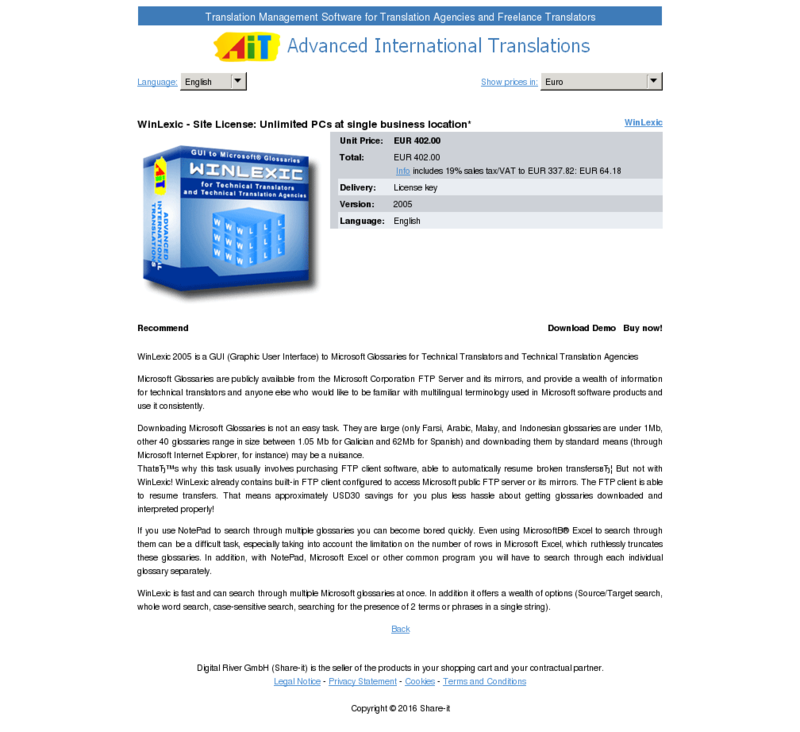 TO3000 easily and seamlessly integrates in the business life of professional language translator.